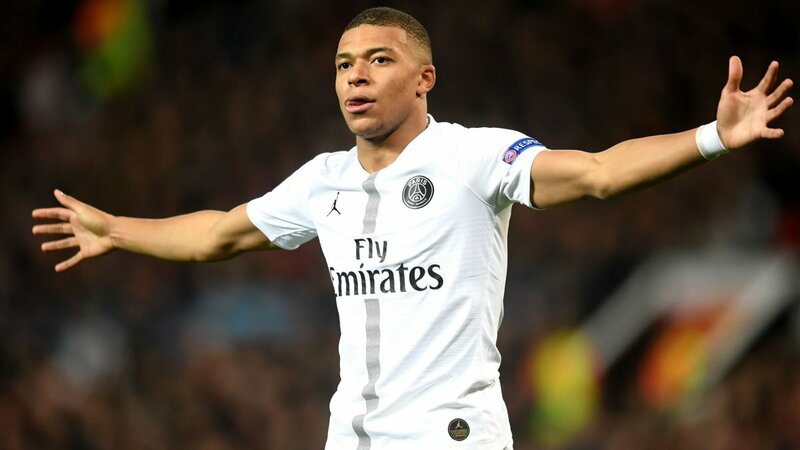 Real Madrid are ready to pounce for Paris Saint-Germain winger Kylian Mbappe by making a blockbuster world-record offer of €280m (£239.6m) this summer. Los Blancos are planning a significant overhaul of their squad ahead of next season following a disappointing campaign which has seen them eliminated from all major tournaments and go through three different managers. Zinedine Zidane’s return appears that there will be a major investment when the transfer window reopens, and the French boss has reportedly outlined Mbappe as his dream signing. France Football claims that the European champions are considering an offer of almost £240million in a bid to prise the 20-year-old World Cup winner away from the Parc des Princes, with discussions between two parties due to start next week. Several reports have suggested that the youngster has grown increasingly frustrated at the French capital due to PSG’s early exit from the Champions League. Mbappe has scored 26 times in 23 Ligue 1 appearances for the Parisians this season.